In fact, I either get all jolly and sometimes I kind of get down-right, teary-eyed on some of the songs. Gahh! It just strikes a chord with me, all those traditions we hold so dear to our hearts over the years. Like watching Rudolph and singing Christmas Carols! When the reindeer games go belly-up for Rudolph, you can’t help feel sorry for him, it just pulls at your heart strings! You know it does! Anyways..it’s just good to know there is a happy ending to the story. I am a sucker for happy endings! So I do have a connection here, believe it or not. Rudolph’s nose looked like a bright red cherry and I’ve baked up some cookies that actually have Cherries.Inside.the.Cookies. 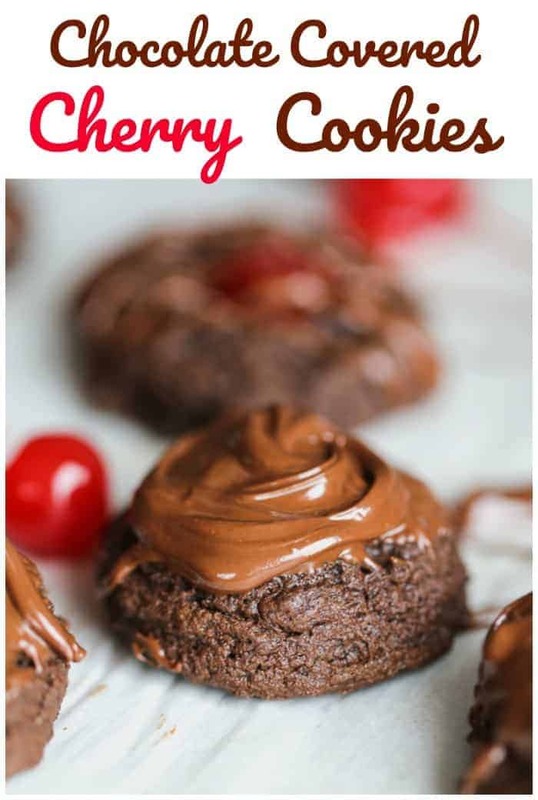 They are called Chocolate Covered Cherry Cookies!! 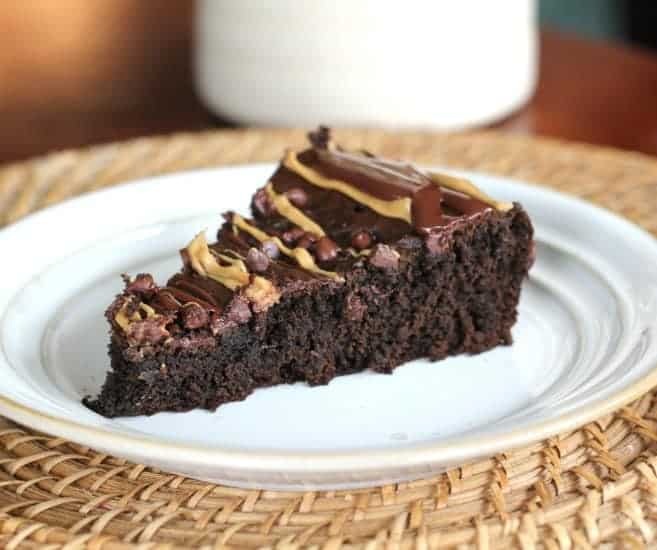 I received this recipe from Valerie Ott from Home Made Modern. 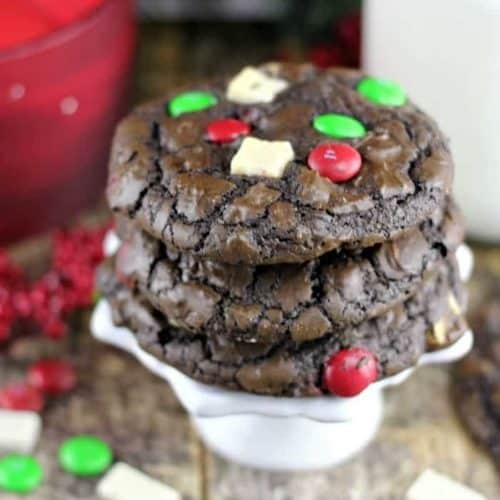 I signed up for 3rd Annual Christmas Cookie Recipe Swap, December 16, 2015. Our mission for the swap was to bake another blogger’s cookie recipe, and this one is a family recipe her mom and she have been making for as long as she can remember. 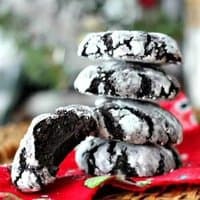 They’re a must on their Christmas cookie plate every year! 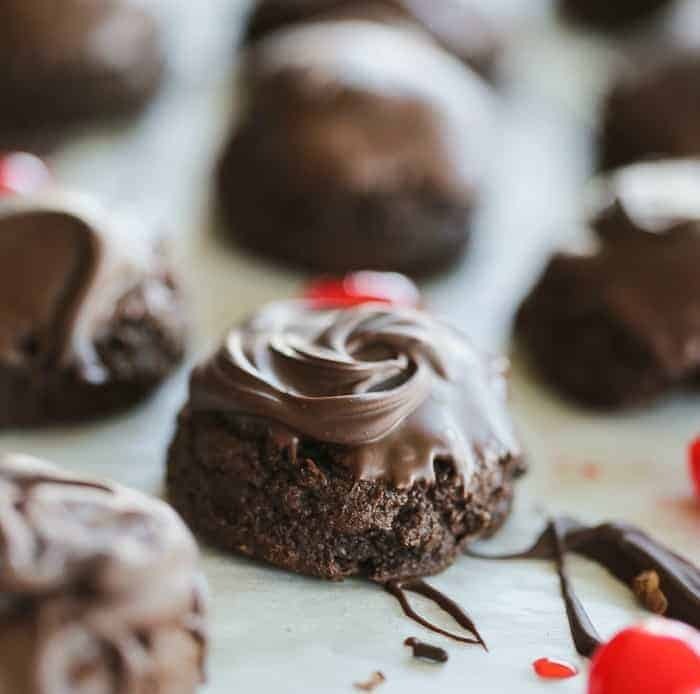 These holiday cookies are basically a fudge brownie wrapped around a maraschino cherry and topped with luscious chocolate! *Drool* My son ate a lot of them! He loves chocolate covered cherries anyways! They look so elegant too! As they shouted out with glee! 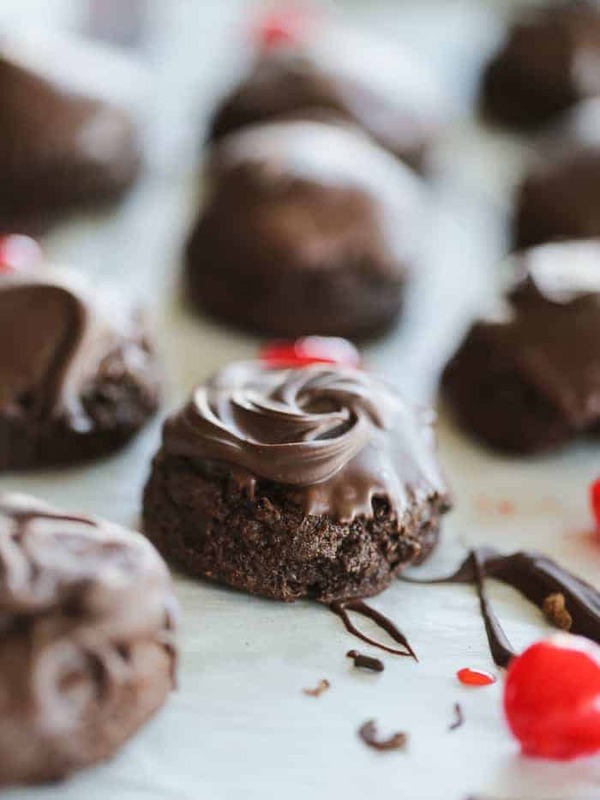 Divine fudge brownie dough wrapped around a maraschino cherry, then baked in cookie form to be topped off with some more chocolate! Great for the holidays! Drain the cherries well and let them sit in a sieve while you make the cookie dough. Cream together the first 8 ingredients until well-combined. Add flour gradually; you may have to stir in by hand. Shape dough into 1-inch balls, then flatten slightly in your hand. Place a cherry in the center of the dough round, then shape the dough around the cherry. 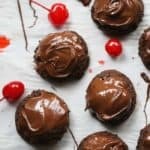 You can also use a medium sized cookie scoop and scoop dough, add cherry and middle and add a little dough on top of cherry and drop on the parchment paper. Bake 2" apart on an ungreased cookie sheet for 8-10 mins, being careful not to over-bake as they will crumble if they get too done. Meanwhile, microwave chocolate chips and shortening for 20 second intervals, stirring between each, until the chocolate is smooth. Dip the tops of the cooled cookies in the frosting and let harden or drizzle. 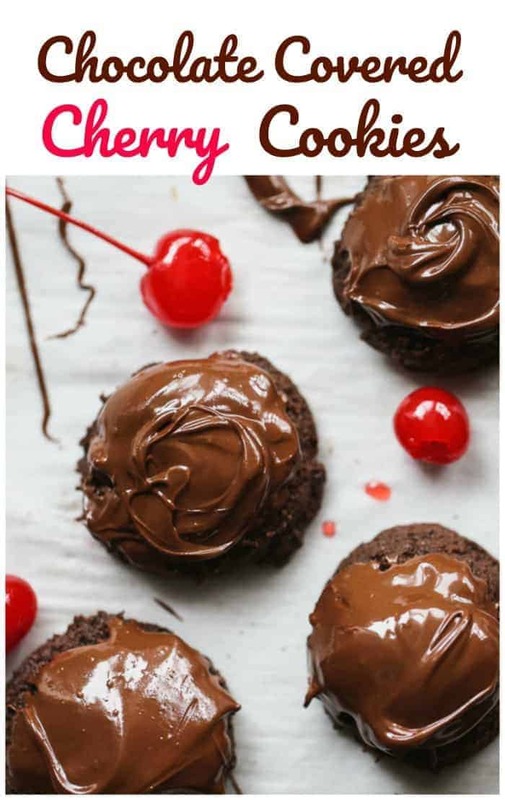 You can also add the cherries to the top of the cookies and press into the dough, so it looks like a thumbprint cookie and then bake. 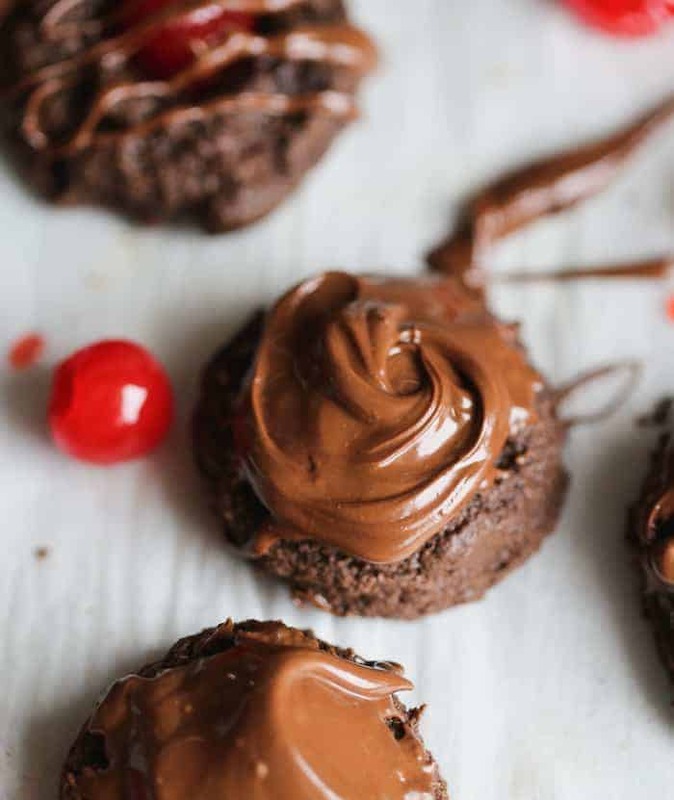 Drizzle chocolate. Check out these cookies from the Cookie Recipe Swap! I’ll have two or three please. 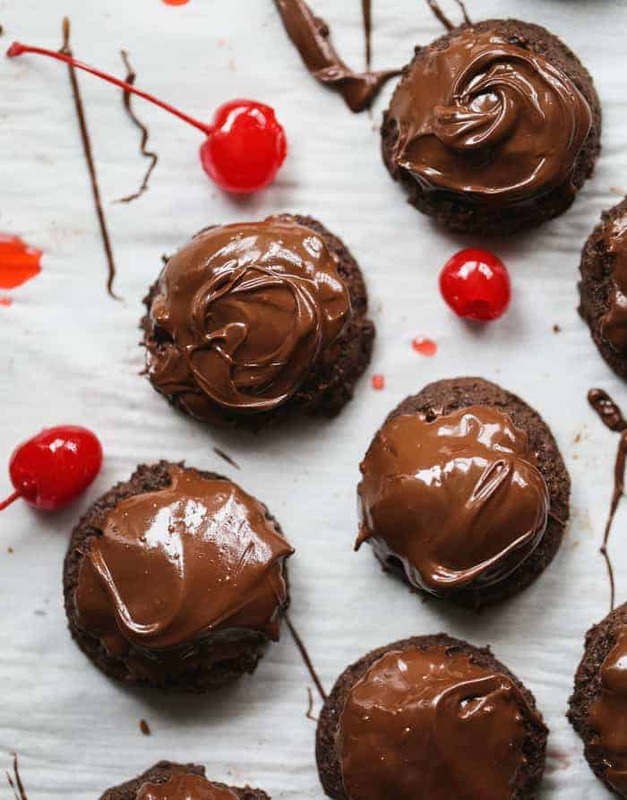 They look delicious and I love chocolate covered cherries. These look fancy and very special. Tasty too! Thank you so much Teri! 🙂 I really enjoyed the cookie swap and checking out everyone’s cookies! They all looked so good! Yours turned out so great! Why have I never thought to put sprinkles on them?? 🙂 Thanks! I think I have an obsession with sprinkles, chips or some type of chocolate on everything. Is that bad? 🙂 Happy Holidays to you Val. I enjoyed our ’email’ and cookie time together.